Can a 50-100 employee company with limited capital genuinely expect to develop a sustainable revenue growth strategy from Big Data? Can small businesses craft Big Data-based initiatives that are cost-effective? How would such a strategy take shape? For brick-and-mortar small businesses offering consumer goods, especially, does it make sense to devote precious financial and employee resources toward wrestling down Big Data? What kind of market research exists to help guide small companies that are eager to utilize Big Data? Earlier we looked at how Big Data is changing the playing field for multi-national corporations, and how market researchers are gaining ground on providing smart, actionable intelligence for companies eager to maximize the 'fire hose' of data that now exists. We also reviewed how products designed to help mid-sized businesses manage the wealth of customer data and market intelligence metrics that comprise Big Data have come on line in recent years. Identifying the points within a mid-sized business that can most directly and efficiently benefit from Big Data is becoming easier. For small business data strategies, it is also increasingly the case, according to some experts. In the realm of SaaS (Software-as-a-Service), for example, an array of policies, tools, and data analysis procedures are being developed at a rapid pace, all designed to help small businesses capitalize on the 'four Vs' of Big Data. 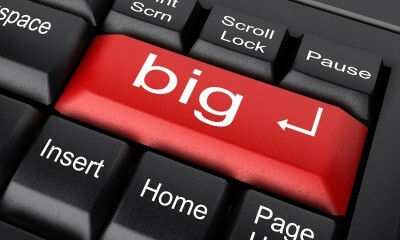 "The convergence of big data and SaaS is finally coming to small businesses, and we will see their impact accelerate in 2013. The impact will be similar to how enterprises have been affected, but there will be a few important differences." There are crucial factors for small businesses to consider if they have a goal of devising affordable Big Data initiatives. Visualization. Small businesses can begin using Big Data in 'baby step' formats such as customer-facing website Dashboards that capture and analyze business intelligence faster and more efficiently. Creating capacity for 'insight-at-a-glance' is now an option for growing numbers of enterprises. Access. An emerging new community of analytics businesses are developing products designed to help small companies collect and analyze slices of data most relevant to their needs. For example, Euclid Analytics can help small retailers capture and measure customers' time-per-visit, overall foot-traffic, and other important cost-per-customer productivity markers. Automation. New analytics tools now make it possible for small businesses to develop customer-relations and productivity initiatives that fall under the category known as 'behavioral marketing." This is a marketing strategy built on the principle of fostering customer loyalty, and it is made possible by more narrowly tracking in-store visits display-by-display, foot-traffic, and so forth, in addition to e-mail open-rates and website metrics. Luo calls this new option for small businesses seeking to use Big Data for strategic marketing initiatives "loyalty automation." It is a 'future trend' that tracks logically and cleanly from traditional market research, directly into the brave new world where business leaders at companies of all sizes, and from across sectors and disciplines, can cut Big Data into pieces that are manageable.